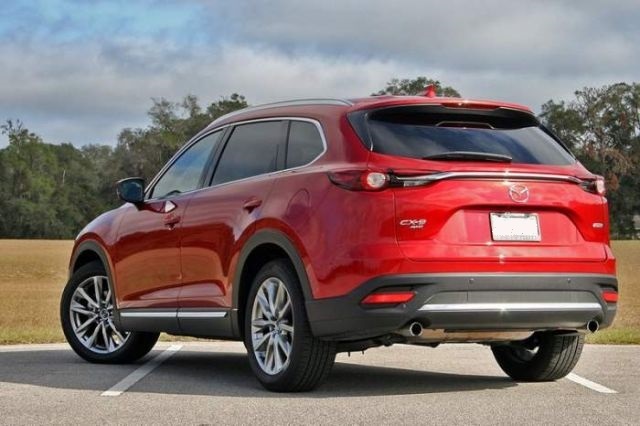 If you need an SUV that offers a seductive exterior look, luxurious interior and cabin to place seven passengers look no further because the new 2020 Mazda CX-9 offers it all. The new model comes with a spacious cabin and three row of seatings with lots of cargo space. With the top offer Signature trim, this model is prepared to beat the best SUV models on the market Honda Pilot or Toyota Highlander. Also, it comes with a powerful engine that is able to deliver an output of 255 horsepower with great fuel economy. Like the previous models, the new one is also wearing a popular Mazda’s “Soul of Motion” design. It comes with a bigger grille that looks more attractive than ever. Also, the same stylish design is used for the headlight. 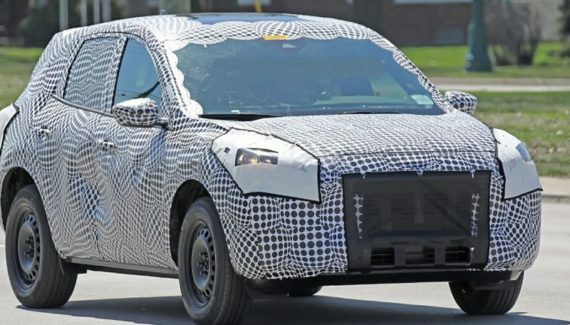 Furthermore, the rear end of this SUV will also keep the same shape and taillights are powered with the LED technology. The base model is offered with the 18-inch alloy wheels, while the higher trims will get a bigger 19 inches. The most equipped Signature trim will add more chrome materials that will be seen on the bodyside, exhaust system and grille. The dimension will be the same and this model measure wheelbase of 115 inches. There are seven colors available in almost all trims except Signature that is offered with four special. The most popular color Soul Red Crystal will be only available in trims Touring and Grand Touring. The interior of the 2020 Mazda CX-9 is astonishing and this model will get some changes inside. It comes with three rows of seating and is able to place seven passengers comfortably. Also, it provides great cargo space of 71.2 cubic feet with the second and third rows folded. The similar numbers have been seen on the models Honda Pilot and Toyota Highlander. 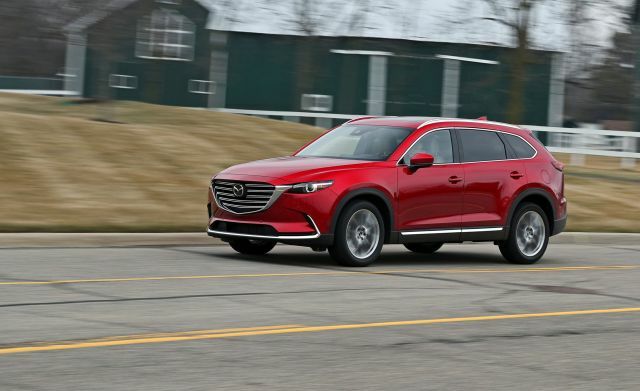 Furthermore, the 2020 Mazda CX-9 will keep the same trim options like the predecessor. There are four trims available Sport, Touring, Grand Touring, and Signature. However, now even the base Sport trim offers many new amenities. It includes 3-zone climate control, colorful 7-inch touch-screen display, a rearview camera, blind-spot monitor and rear cross-traffic alert. Also, the popular Mazda Connect system with voice command is still standard equipment and there are Internet radio streaming and Bluetooth connectivity. The Touring trim that is recommended will be available with a larger 8-inch command screen, leather trim, Apple CarPlay/Android Auto. Also, there are four USB ports, heated and power-operated front seats and a power liftgate with adjustable height setting. The middle equipped is the Grand Touring trim. This one will add a navigation system, ventilated front seats, 360-degree monitor, powerful 12-speaker Bose audio and a moonroof. The top of the offer and the highlight is the Signature trim that packs all in one. This trim will include Nappa leather trim, LED accent lighting in the grille and all-wheel-drive system as standard. 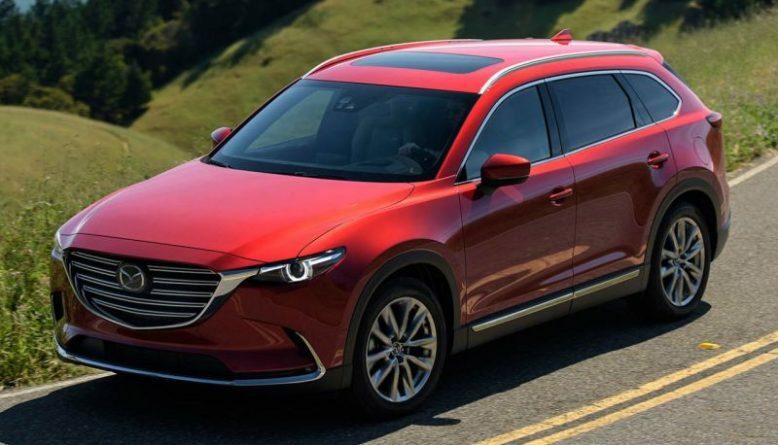 The forthcoming 2020 Mazda CX-9 model will be offered with only one engine variant. Furthermore, the manufacturer decides to install a 2.5-liter turbocharged Skyactiv-G engine that is also under the current one model. However, this year engine will get better output and fuel economy. Moreover, when using premium fuel, this engine delivers 255 horsepower and 310 lb-ft of torque, this is 5 more HP than the current one. The standard model of this SUV comes with front wheels (FWD) drive system and a 6-speed automatic transmission. However, the buyers can choose optional All-wheel drive (AWD) system as well. As we already wrote, the new model will be more fuel efficient than the current one. The EPA city/highway fuel economy is 23/29 mpg for the base model with FWD and 22/27 mpg for the AWD system. Towing is also good and this model can tow up to 3,500 pounds. 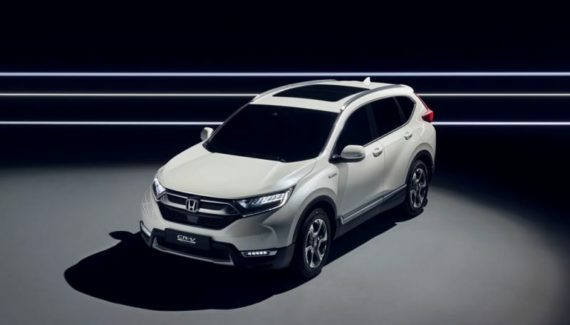 In the same class, the model Honda Pilot beats the Mazda CX-9 with its 5,000-pound rating. The third-row base 2020 Mazda CX-9 SUV comes with the MSRP of $33,500. However, the trims like Touring start with price more than $36,000, while the Grand Touring cost $42,000. If one needs AWD it can get it for $1,800 more. The top of the offer is the Signature model that includes AWD as standard and it cost $46,000. 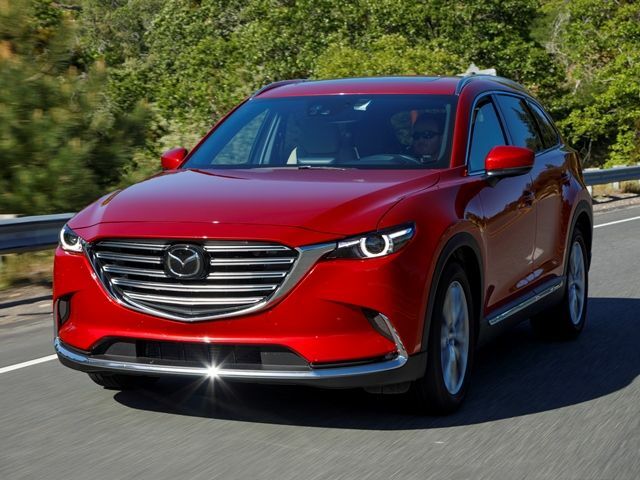 The new 2020 Mazda CX-9 cost slightly higher than models Toyota Highlander, Honda Pilot, Chevrolet Traverse, GMC Acadia, and Kia Sorento.